Warehousing Equipment specialises in the hire of electric vehicles such as the Yamaha Club Car golf carts and Taylor Dunn electric vehicles. 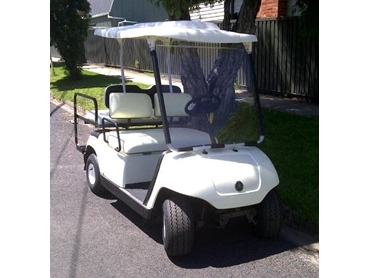 The golf carts are available for hire on a daily, weekend, weekly and long term basis. Warequip’s fleet of vehicles includes 2-seat, 4-seat and 6-seat golf carts. The reliable and versatile golf carts are quiet and efficient in operation. The vehicles can be transported to and from the customer’s site as part of the hire service. Warequip’s golf carts are hired for major events and festivals as well as golf tournaments and sporting events among others.